Childtowne Montessori first opened its doors in 1969 and has continued to provide an outstanding Montessori experience to children and their families ever since. We are dedicated to promoting joy in learning, following the child, and encouraging the development of the whole child through the Montessori philosophy. At Childtowne Montessori we offer an outstanding Montessori education and one of a kind family experience. We are highly rated for our diverse and substantial programs, secure and engaging learning environments, qualified and experienced staff, and for parent satisfaction. 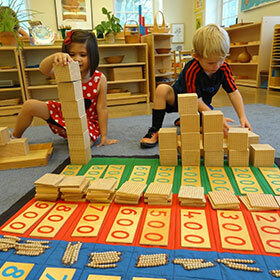 Our highly-trained Montessori-certified teachers meet the needs, strengths, curiosities and interests of children through hands-on discovery while also following their natural learning style. All classrooms at Childtowne Montessori practice the Montessori philosophy and approach to learning, led by Montessori trained teachers and staff. Our classrooms are all equipped with high-quality, educational, hands-on equipment and materials. We are located in Southampton, Bucks County, Pennsylvania. We would be happy to answer any of your questions. 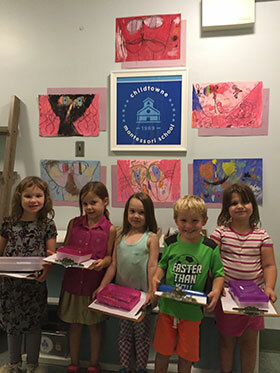 At your convenience, we provide tours where you can observe our Montessori classrooms in action. We also offer an opportunity for your child to visit and spend time in a Montessori classroom with one of our teachers. A glimpse into Childtowne Montessori School. Prospective parents only: Please join us from 6:00pm - 6:30pm to meet our talented teaching staff and tour our classrooms. From 6:30pm - 7:30pm we invite everyone: (both current and prospective parents) to view a powerful and informative video in the Childtowne Montessori auditorium. We will stream one of the Key note seminars from the 2019 AMS (American Montessori Society) conference. Our “Open Enrollment” period begins on March 1st for the 2019 - 2020 school year. For more information, please look here. We will not share your email and you can unsubscribe at any time.